ST has shrunk its popular 3-axis analogue gyroscope by half. The L3G3250A combines the same robust and field-proven micromachined MEMs technology that ST has already used to produce nearly 1.54 billion motion sensors with a smaller package technology to make it the first 3-axis gyroscope to meet the demand for smaller footprints in next-generation applications such as gaming and virtual reality input devices, motion control for MMI (man-machine interfaces), GPS navigation systems, and appliances and robotics. The sensor is a high-performance three-axis analogue-output gyroscope housed in a package measuring just 3.5x3x1 mm, reducing the footprint from 17.6 mm3 - the current generation in production today - to just 10.5 mm3, a reduction of nearly 40%. With a resonant frequency beyond the audio bandwidth, the L3G3250A is completely immune to audio noise, such as from speakers mounted close to the sensor, and mechanical vibrations coupled through the printed circuit board, therefore operating with greater accuracy and reliability. In addition, its design of a single sensing structure for motion measurement along all three orthogonal axes further increases sensing accuracy and reliability and delivers the industry’s highest level of output stability over time and temperature. The combination of high sensing resolution with outstanding immunity to audio noise and vibrations makes motion-sensing user interfaces more realistic in mobile phones, tablets, game consoles, and other smart consumer devices. The L3G3250A offers two user-selectable full scales – 625 or 2500 dps (degrees per second) – with sensitivities of 2mV/dps and 0.5mV/dps, respectively. The high range allows the device to detect and measure very fast gestures and movements. Other features include an embedded self-test function, a wide supply voltage range (2.4 V to 3.6 V), embedded power-down and sleep modes to optimize power management in battery-operated devices, an embedded low pass filter and a high pass filter reset function, and high shock survivability. The device operates over an extended temperature range (-40°C to 85°C) and is available in a 3.5x3x1 mm3 LGA-16 ECOPACK RoHS compliant package. Engineering samples are available now and volume production is scheduled for Q4 2011, with unit pricing at $3.95 for volumes in the range of 1,000 pieces. MathWorks is succcessfully moving its MATLAB and Simulink model-based deign tools more into silicon design. Faraday Technology is using Model-Based Design to accelerate the development of SoCs, including development of its NAND Flash Controller error correcting code (ECC) engine. MATLAB and Simulink have helped Faraday accelerate development of more efficient designs by completing system-level simulations 200 times faster, increasing throughput performance by 15%, and cutting gate count by up to 57%. Stateflow chart of the error correcting code (ECC) engine for Faraday’s NAND flash controller. Faraday is using this to capitalise on the move to advanced SoC designs. To meet this demand, Faraday established a faster and more cost-efficient workflow to develop memory controllers for microprocessor subsystems. Faraday adopted Model-Based Design to accelerate SIP development, explore system-level design alternatives, and improve communication among engineers. This design approach has helped reduce gate count, and shorten the development cycle for memory controllers and other modules, and, as a result, differentiate itself through lower cost to its customers. Faraday engineers used MATLAB, Simulink, and Stateflow to model and simulate their system-level designs, and used Simulink Coder and Simulink HDL Coder to automatically generate code from their models. This workflow enabled Faraday to shorten their design process as they moved from architecture design to hardware and software implementation. Faraday has used Model-Based Design for DDR and flash controller projects and delivered the SIP designs on schedule. The engineering team is now focused on further accelerating development by reusing and adapting their existing models on new projects. Build Your Own Arduino Sonar For The Visually Impaired: "Build Your Own Arduino Sonar For The Visually Impaired"
Worldwide smart meter revenues will grow to over $12bn by 2016, with the vast majority ZigBee-enabled say market researchers In-Stat.. The smart meter is a device that is at the heart of the smart grid transformation. It records a user’s electrical, water, or gas usage at a set interval, and then provides a way for this data, or a subset of this data, to be read electronically, but that is just its minimum function. Powerline is the clear leader in backhaul connectivity from the meter to the utility. However, we are seeing an increasing number of wireless solutions including cellular, white space, and proprietary methods that would use unlicensed and operate in mesh configuration. China, the world’s biggest energy consumer, is also the biggest smart meter consumer. The number of smart meters deployed in the US per year will decrease after peaking in 2011, but worldwide smart meter deployment will continue to grow. Memory maker SanDisk has implemented the new SATA µSSD specification into its SanDisk iSSD product line of postage stamp-sized embedded SSDs. SATA-IO, an industry consortium dedicated to sustaining the quality, integrity and dissemination of serial ATA (SATA) technology, introduced the standard today. The number of media tablets shipped worldwide is expected to grow from 17.8 million units in 2010 to 53.5 million units in 2011 according to IDC. The Serial ATA International Organization (SATA-IO) is also developing SATA Express, a new specification that combines SATA software infrastructure with the PCI Express (PCIe) interface. SATA Express enables the development of new devices that use the PCIe interface and maintain compatibility with existing SATA applications. The technology will provide a cost-effective means to increase device interface speeds to 8Gb/s and 16Gb/s. Embedded SSDs offer fast performance in a tiny footprint, making them an attractive solution for all categories of ultrathin devices. The SATA µSSD specification (see below) eliminates the module connector from the traditional SATA interface, enabling developers to produce a single-chip SATA implementation for embedded storage applications. 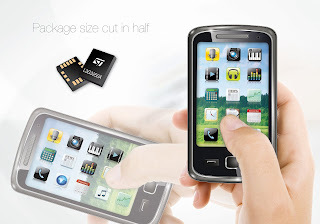 Among the first products to implement the new standard, the SanDisk iSSD series is an ideal storage solution for OEMs developing the next generation of thin, powerful mobile computing platforms. The SATA µSSD standard-conforming SanDisk iSSD series utilizes a new electrical pin-out that allows SATA delivery using a single ball grid array (BGA) package. The BGA package sits directly on the motherboard, allowing for form factors as small as 16mm x 20mm x 1.2mm (up to 32GB)/1.4mm (for 64GB) and 16mm x 20mm x 1.85mm (for 128GB). The SanDisk iSSD i100 SSD is available in 8 gigabyte (GB)1 to 128GB capacities, offering OEMs a flexible range of storage options. SATA Express will provide a low-cost solution to fully use the performance of SSDs, while storage devices not requiring the speed of SATA Express will continue to be served by existing SATA technology. The specification will define new device and motherboard connectors that will support both new SATA Express and current SATA devices. 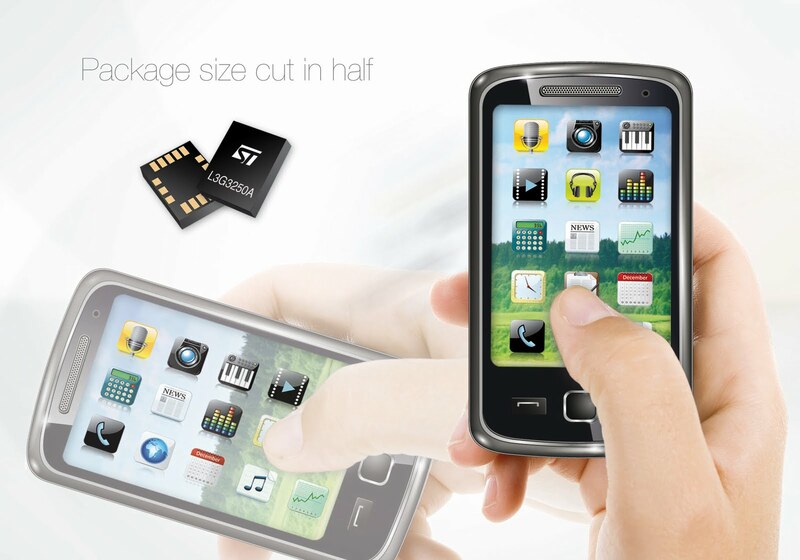 mSATA: A low-profile solution for mobile computing devices and other small form factor applications. SATA Universal Storage Module (USM): An integrated SATA interface for providing portable, volume storage I/O to consumer electronics devices, as well as PC applications. SATA µSSD: an embedded, single-chip solution that connects directly to the motherboard to enable ultra-thin form factor devices. More information on these and other SATA specifications is available at www.sata-io.org. Texas Instruments has launched what it claims is industry’s lowest-power contactless short-range communication transceiver. Aimed at infrastructure devices, the TRF7970A extends battery life through eight selectable power modes ranging from under 1µA in power-down mode to 120mA in full-power mode. This gives it twice the battery life of competing products, says TI. The transceiver comes with easy-to-configure software to help developers get started quickly. Royalty-free stacks are compatible across a broad range of ultra-low-power MSP microcontrollers. Additionally, developers are able to directly access all control registers, allowing for easy fine-tuning of various parameters for the highest performance in every application. The new transceiver builds on TI’s platform of RFID products by supporting peer-to-peer communication and card emulation in addition to reader/writer capability while maintaining pin-for-pin compatibility with the previous TRF7960. Peer-to-peer communication continues to increase in popularity in applications including medical equipment, secure pairing and payments. This allows users to more easily take advantage of continuously evolving features and apps. For example, NFC devices can configure Wi-Fi and Bluetooth technology sessions between devices without consumer interaction, share and interact with feature- and content- rich data such as coupons at point of sale, and allow consumer devices to easily exchange files and contacts. With more than 1 billion RFID tags and more than 100 million RFID reader devices manufactured, TI’s RFID technology is used in a broad range of applications worldwide. Designers can accelerate time to market by tapping into TI's complete software and hardware tools, extensive third-party offerings and technical support. The TRF7970A NFC development kit is immediately available for order at www.ti.com/nfc-pr-es and priced at USD $99. Panasonic, Samsung Electronics, Sony and X6D (XPAND 3D) are to collaborate on the development of a new technology standard for consumer 3D active glasses called the "Full HD 3D Glasses Initiative." The companies say they will work together on the development and licensing of radio frequency (RF) system 3D active glasses technology, including RF system protocols between consumer 3D active glasses and 3D displays such as televisions, personal computers, projectors and 3D theatres with XPAND active shutter glasses. These glasses end a full HD image to each eye to give higher quality 3D but there are different standards, limiting the uptake by consumers. The standardization will also include multiple types of infrared (IR) system protocols between 3D active glasses and 3D displays, ranging from the protocols jointly developed by Panasonic and XPAND 3D to the proprietary protocols of Samsung and Sony. The licensing is targeted to be released in September 2011 and then the development of the new standard 3D glasses will begin. Universal glasses with the new IR/RF protocols will be made available in 2012, and are targeted to be backward compatible with existing systems. "Panasonic has been working to standardize 3D glasses technologies, and in March, we announced a joint licensing of IR system protocols with XPAND, backed by several participant companies. We are very pleased that today's latest collaboration will incorporate our previous concept into these new standardization efforts," said Masayuki Kozuka, general manager of Media & Content Alliance Office, Corporate R&D Division, Panasonic Corporation. "We hope the expanded collaboration on this 3D standardization initiative will make a significant contribution toward accelerating the growth of 3D-related products." "Today's announced collaboration underscores Samsung's promise to meet consumer needs among the ever-changing advancements of home entertainment and consumer electronics technology," said Jurack Chae, vice president, R&D Team, Visual Display Business, Samsung Electronics. "To-date, active 3D technology has proven to be the most popular choice for consumers in the 3D TV market. According to the NPD Group, Active 3D technology took an average of 96 percent share of the U.S. 3D TV market in the first half of this year; and this Full HD 3D Glasses Initiative will help further drive consumer adoption and understanding of active 3D—the technology that provides the clearest and most immersive 3D experience available." "Through this alliance, we all look forward to addressing critical industry issues to enable a better consumer experience across products. We believe active 3D technology is the most suitable method to deliver full 1080p picture quality to each eye, giving consumers the 3D experience they most desire," said Jun Yonemitsu, deputy senior general manager, Home Entertainment Development Div., Sony Corporation. "We are delighted to contribute our efforts and technologies to the Full HD 3D Glasses Initiative for both RF and IR technology that we announced today with Panasonic, Samsung and Sony. This initiative reinforces the consumer electronics industry's commitment to highest 3D quality and provides technology consumers and theater-goers with a simple but powerful solution to the challenge of interoperability," said Maria Costeira, XPAND 3D's CEO. The Bluetooth SIG supports the industry's move to standardize on Bluetooth technology in 3D glasses. "These market leaders are coming together to make the 3D experience better for the consumer. It makes perfect sense thatBluetooth technology would be a vital component of that solution, both for its mass market ubiquity and the freedom and convenience it provides," said Dr Michael Foley, executive director, Bluetooth SIG. "And while today's news is exciting, this is just the beginning—Bluetooth technology in the living room makes sense in 3D glasses, stereo surround systems, remote controls, and ultimately the hub of the living room—the TV." The protocols jointly developed by Panasonic and XPAND were announced in March 2011 and supported by eight participant companies: Changhong Electric, FUNAI Electric, Hisense Electric, Hitachi Consumer Electronics, Mitsubishi Electric, Seiko Epson, SIM2 Multimedia and ViewSonic. Embedded real time operating system vendor Micrium is to make the source code of the popular real-time kernel uC/OS-III available free of charge to developers who wish to evaluate uC/OS-III, as can researchers, students and others in academia. To help ensure that developers who try out uC/OS-III will be able to make the most of the experience, Micrium is also making PDFs of the book uC/OS-III, The Real-Time Kernel available for free download. Several versions of this book, each tailored to a different embedded platform, are now available in both print and free PDF editions. "Together, the uC/OS-III kernel and book provide practically everything needed to get started writing powerful, multitask applications," said Jean Labrosse, founder and CEO of Micrium. "Now these essential tools can be downloaded by busy developers in just a matter of minutes." For years, developers interested in evaluating uC/OS-II have been able to download its source code directly from Micrium's Web site. Now, the same model is being applied to uC/OS-III. Under the source-available model, the path from evaluation to production is simple and well defined. Developers begin the evaluation process by downloading source code from the Micrium Web site. Once they've decided to use uC/OS-II or uC/OS-III to develop a product, they must purchase a license for the software from either Micrium or an authorized distributor. "The source-available model combines the best of the commercial and open-source RTOS worlds, giving embedded systems developers software that is meticulously maintained and supported, yet is remarkably easy to evaluate," said Labrosse. "Micrium's move to make uC/OS-III source available is a reflection of our keen interest in helping developers to overcome the challenges that they confront on a regular basis." The uC/OS-III source code can be downloaded from http://micrium.com/downloads/. Developers who have already completed a successful evaluation of uC/OS-III and are planning to use the kernel in a product can contact Micrium's sales team for licensing. 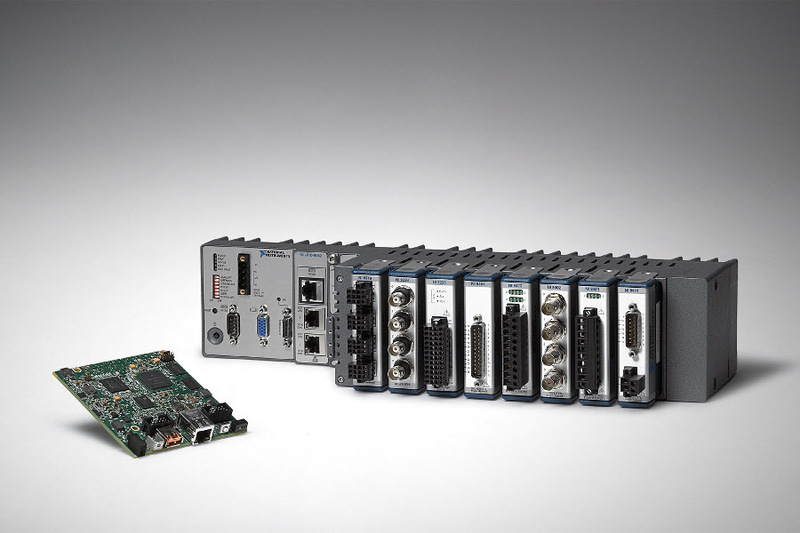 National Instruments has expanded its reconfigurable I/O (RIO) platform with the addition of the highest performance and first multicore system and smallest Single-Board RIO devices. Acknowledging the move to multicore in embedded systems, the cRIO-908x systems feature an Intel Core i7 dual-core processor for increased processing power, Xilinx Spartan-6 field-programmable gate arrays (FPGAs) and the option of a Windows Embedded Standard 7 (WES7) OS configuration for monitoring and control applications that require exceptional performance and the ruggedness of CompactRIO. For high-volume and OEM applications, the new NI sbRIO-9605/06 devices are sized from less than 102.87 mm x 96.52 mm and offer greater customisation and I/O support than previous versions. With the Intel Core i7 dual-core 1.33 GHz processor and up to a Xilinx Spartan-6 LX150 FPGA, the cRIO-908x systems deliver the highest processing power of any CompactRIO product and are ideal for performing complex signal processing and control within applications such as rapid control prototyping, advanced motion control and machine vision. The controllers can be configured with a WES7 OS, which gives engineers access to a broad ecosystem of Windows-based software and integrated graphics, or a real-time OS for reliable, deterministic performance. The systems provide a variety of high-performance peripheral connectivity including two Gigabit Ethernet ports, a MXI Express port, four USB ports, RS232 and RS485 serial ports and a new CPU eXpansion Module (CXM) that makes it possible to add custom connectivity and expansion to CompactRIO using industry standard protocols. “By combining the power of the Intel Core i7 processor and the productivity of National Instruments integrated CompactRIO hardware and LabVIEW software, we are giving engineers a high-performance solution to quickly solve their advanced control and monitoring problems,” said Michelle Tinsley, General Manager of the Intel Embedded Computing Division. The new NI Single-Board RIO devices provide a small and cost-optimised form factor for the NI RIO platform and are ideal for embedded monitoring and control applications in industries such as energy and medical. The devices feature a 400 MHz processor and Xilinx Spartan-6 FPGA to provide reliability and performance at a low price point for OEMs. The devices also offer built-in peripherals such as RS232, CAN, USB and Ethernet. Additionally, the new devices feature a high-density and high-bandwidth connecter that gives engineers direct access to the FPGA and processor as well as the ability to add peripherals for further customisation. "NREL is working directly with National Instruments to develop advanced power electronics inverter control hardware based on reconfigurable FPGA technology for renewable, electric vehicle and smart grid systems," said Dr Bill Kramer, who manages Research and Development for Energy Systems Integration Technologies at The National Renewable Energy Laboratory. "With the new high bandwidth connector on these NI Single-Board RIO devices and LabVIEW programming tools, we now can take our simulations and advanced algorithms from prototype to high-volume, deployable targets more quickly than ever." National Insturments has launched its 25th anniversary version of the LabView graphical programming tool. The new version usefully adds re-use of code from Microsoft's .NET framework as well as more hardware integration. LabVIEW 2011 helps increase development efficiency through new engineering-specific libraries and its ability to interact with almost any hardware device or deployment target, including the new multicore NI CompactRIO controller and the NI PXIe-5665, one of the highest performing RF vector signal analysers in the industry. 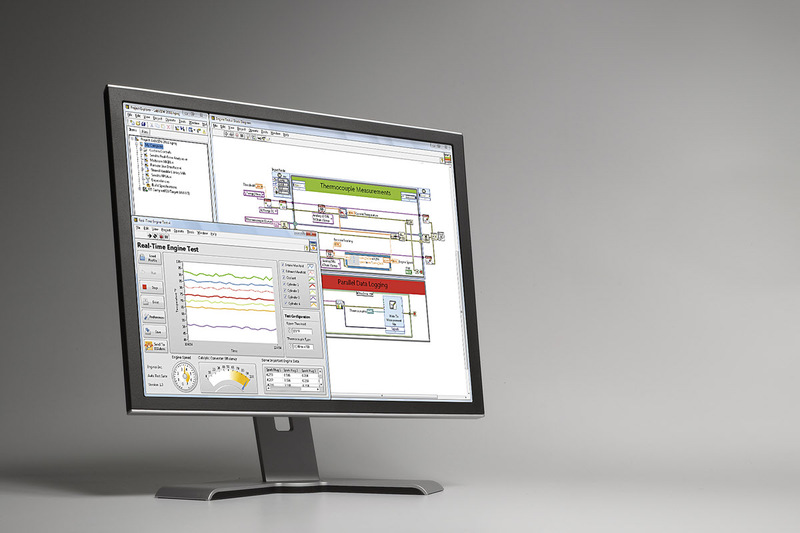 With its stability for mission-critical applications, as well as its simplified integration with hardware from many industry leaders, LabVIEW 2011 gives measurement and control system designers the confidence to innovate efficiently within a proven support infrastructure. 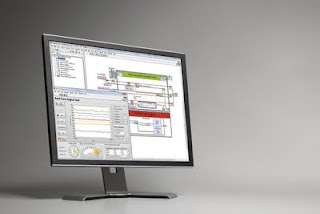 When combined with modular hardware, LabVIEW 2011 is the centrepiece of the NI approach to graphical system design, which provides a unified platform for designing, prototyping and deploying applications with maximum efficiency. Engineers and scientists in virtually every industry are using graphical system design, from basic measurement applications to the most complex, advanced research projects.